We always love to see projects from our customers. Take a look at Janar’s beautiful free flight model F1A . It’s wingspan covers an amazing 2.4m and utilizes a Slobodan Midic MID103 airfoil. This beautiful model behaves beautifully when towed up to 112 meters (367 feet). In it he runs the Soaring Circuits RAM3 Recording Altimeter. 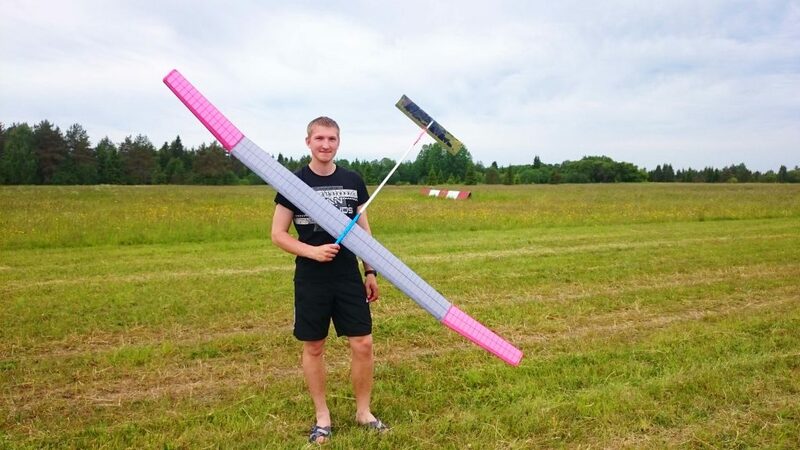 Janar and his F1A plan to head to the Free Flight World Championships in Hungary next year. Good Luck Janar! PREVIOUS POST Previous post: Labor Day SALE! NEXT POST Next post: Cortex Pro – Get Yours Now! Please correct this in text.